Looking for Pest Control for House Plants? Tired of Your Plants Being Bugged? Then we have some great tips for you. 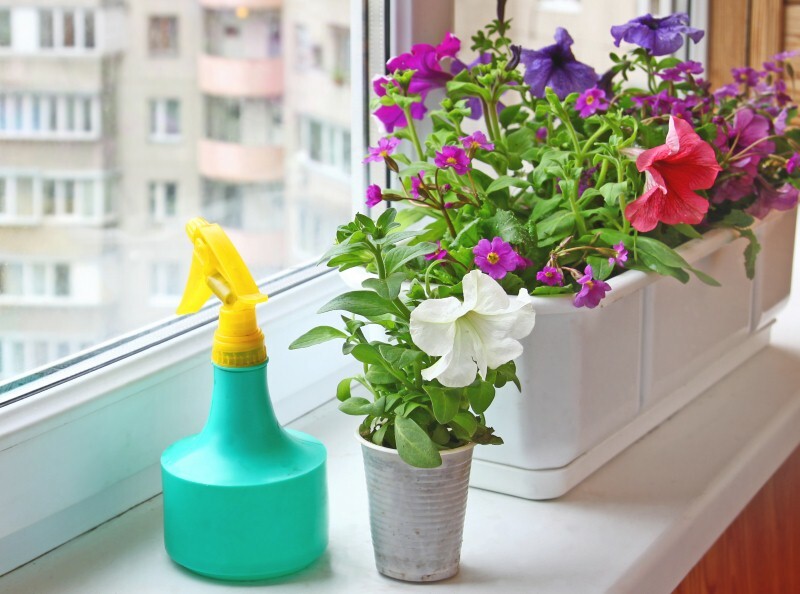 When it comes to pest control for house plants, prevention is better than cure. However, sometimes even the most careful gardener will encounter pests at one point or another. First, when buying plants to add to the potted garden, throughly inspect the plant to ensure it is healthy and that it is not hosting any pests. Potted plant pest control requires one to have knowledge of the different pests, their life cycles, their behavior, and how to get rid of them. Follow the below natural pest control remedies for container plants with items that can be easil found around the home! Each of the below solutions for works best if your mix the DIY solution in a spray bottle. I personally love using glass spray bottled because I don't have to worry about the solutions interacting with plastic. 1. Onion: Combined with garlic or used on their own, onion is an organic method of pest control for house plants. Insects such as spiders, aphids, and other pests do not like onions at all. This method of potted plant pest control only requires you to collect the skin and peels over a period of time and then soak the peels in water for a week. You can then use the water to spray on the plants or bury the peels and ends at the foot of the plant as an extra measure. 2. Detergent and Soap: Dishwashing detergent and gentle soaps combined with other ingredients are useful as pest control for house plants. When mixed with fresh water and basil, it fights off aphids. Combined with cooking oil and a little water, it creates a great natural pest control for container plants keeping off a wide range of insects. 3. Salt: Diluted in water, salt is a potted plant insect repellent for bugs like caterpillars, spider mites, cabbage worms and any other insects that enjoy chewing on potted plants. The salt solution also helps to get rid of mildew, and black spot. 4. Vegetable Oil: This is more of an ingredient used in the creation of natural pest control for container plants. When combined with pure liquid dishwashing soap, it is effective in keeping off and even killing a myriad of bugs. In a scales infestation, the oil suffocates them. Chives repels carrot flies, Japanese beetle and aphids. Dill repels aphids, squash bugs, spider mites, cabbage loopers and tomato hornworms. Fennel repels aphids, slugs and snails. Oregano repels many pests and will provide ground cover and humidity for peppers. Thyme repels whiteflies, cabbage loopers, cabbage maggots, corn earworms, whiteflies, tomato hornworms and small whites. Stop those bugs in their tracks the safe way! The beauty about organic pest control for container plants is that it is safe for you and your plant. Even with children or pets in the house, there is no fear of an accident happening as you administer the pest control for plants in pots. Keeping an eye out for, and catching the initial stages of a bug attack will prevent the need to deal with a major infestation. Pest control for plants in containers is relatively easy as the plants are in a relatively controlled environment. One does not need to be a professional to carry out pest control for plants in pots. Even a newbie to gardening can carry out their own pest control for plants in containers.